It has been another banner year for New Providence. Despite the many challenges faced, we had a record number of accomplishments this year. As promised, we have focused and promoted community at every turn, welcoming many new friends and neighbors to our beautiful borough including our new residents at Lantern Hill. We have helped foster inclusivity and promote our pioneer spirit of cooperation by providing many more community gatherings and events with the help and support of our very generous business community, our many organizations and committees including the Lions Club, our PBA, our Community Service Association, our Diversity Committee, our Recreation Department, our Municipal Alliance, our Education Foundation, our Athletic Foundation, and our Scouts, to name only a few, also our Board of Education, our employees, and especially all of our hard working volunteers. Volunteers are the fabric of small town living and the backbone of our community. Without generous donors and dedicated volunteers who continually give selflessly of their time, talent, and support, often thanklessly, we could not provide or do all that we do. Thank you! Many new businesses have made New Providence their home this year, and many have been making terrific renovations and expansions to their facilities enhancing our downtown community. A thriving business community translates into a thriving local economy, so please remember to support our local businesses by shopping New Providence. Almost all of our events and promotions in our community are made possible through generous business contributions. We thank our local businesses for their continued support, and wish all of our businesses continued success. Some more great things from this past year: The renovation of Oakwood Park has finally been completed. It is a pleasure to see a state of the art recreational facility being utilized by all ages. Our baseball fields should be open by springtime. Our recreation department has done an outstanding job continually expanding and improving programs to help better serve our growing and changing community. This year we also built a new garage at our treatment plant to house our sewer jet ensuring year round ability to more quickly and efficiently unclog unforeseen blockages. We purchased new police vehicles, a fire truck, and a new ambulance to ensure our public safety personnel and DPW continue to have the best and proper equipment available. All of these projects and equipment were made possible due to keen and long term financial planning by our borough administration and council. We have maintained our outstanding AAA bond rating and successfully anticipated costs 5-10 years out. By participating in an energy auction this year, we were able to save our borough thousands of dollars. 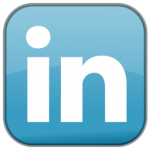 We strive not only to save money, but also continually seek additional revenue streams. Last month we entered into a shared court agreement with Summit in addition to sharing with Berkeley Heights, which not only saves taxpayer dollars for Summit, Berkeley Heights, and New Providence, but also creates an additional income source for our borough. We all remember the pain and inconveniences of all the on-going utility work and necessary infrastructure upgrades this past March through November, especially Central Avenue. Thankfully, all the paving projects and upgrades were completed by Thanksgiving, as well as $200,000 worth of additional paving, sidewalk construction, and repairs throughout the borough. We thank you for your patience. With the acquisition of a $462,000 federal grant, many more sidewalk installations and repairs will be possible for us this year. We will also stay true to our long term resurfacing road program. And, the long awaited demolition of the Ping Wang Greenhouses by Grove Terrace was finally completed eliminating an eyesore and a public safety hazard. Probably the most challenging issues facing our community right now is dealing with state and federal mandates. Affordable housing, 2% arbitration cap, DEP and DOT regulations could have crippling repercussions for our community. We are continuously navigating these mandates by working closely with our federal and state representatives, Union County Mayors, and with the New Jersey League of Municipalities. We signed bi-partisan county and state resolutions, are in constant contact with our legislators, and I am personally on a bi-partisan Union County Mayors appointed committee charged with addressing this issue afflicting all of our respective communities. I assure you, we are all doing all we can, and will continue to stay on top this to minimize the impact of these mandates on our community in every possible legal way we can. This year we will also be examining our public information systems to help improve borough communications, provide better, faster, and more current up-to-date public information in a more efficient and rapid manner, and increase user friendliness on our borough website. A Communications Committee will be established to examine, improve, and advise on how best to improve our borough’s flow of information, offer suggestions and solutions to help us better inform our residents using multiple medias, more current technologies, and help increase user friendliness. We will also be expanding and improving the “Mayor’s Forum” by taking on a different format, adding panels to our discussions, and making our forums more inclusive, informative, and participatory. The public will be invited to attend and will be given the opportunity to ask pertinent questions. The Mayor’s Forums will continue to be televised and available for viewing on our borough website. “Chat with the Mayor” will continue on the first Fridays of every month in the Mayor’s Office from 6:30pm-8pm. And as per your suggestions, additional “Coffee with the Mayor” events will be held at various locations around the borough and on different days and times to better accommodate our residents. As always, residents can call borough hall at any time to make an appointment to meet with me, or can contact me directly. We are here to serve you. To say, “Thank You” never seems to be adequate enough to recognize our dedicated employees, our board members, advisory boards, committees, and community volunteers. Our Fire Department and our Rescue Squad are both completely staffed by volunteers. They spend countless hours training, preparing, up keeping equipment, and responding to emergency calls. And, you will always find them at every town event. We are so appreciative of their dedication to our community. We are also grateful for our police who not only keep us safe, but who also sponsor many of their own town events for our community at their own expense. Our Policy Department once again ran a successful Police Youth Academy in the summer which has been growing every year. Our DPW continues to be our unsung heroes making our borough look great and are always there to help set up, install, and dig us out. We are so appreciative of their efforts which continue to be exemplary, above and beyond expectation. As Mayor, it is with great pride and comfort that all of these entities work, not only as a team, but as a family making New Providence the 8th best place to live according to New Jersey Monthly Magazine. But to many of us, this is thee best place to live. We thank you. I would be remiss if I did not mention our outstanding school district which continues to make New Providence very proud. We were one of two school districts in the entire country this year named “National District of Character” which is quite an achievement and an honor, especially for a small town like ours. Thank you to our schools, our administration, our staff, our board of education, and especially our students and parents. I am confident that 2018 will once again be a banner year for our borough. 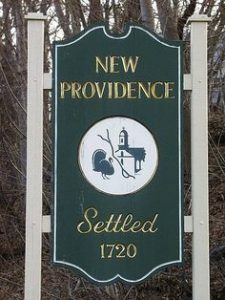 Thank you all for your continued contributions and commitments to making New Providence the wonderful place that it is. I look forward to working with you and serving you this upcoming year. May God continue to bless New Providence and all of you.